Can you believe it – we have found 16 uses for toothpaste 17 if you want to count cleaning your teeth! 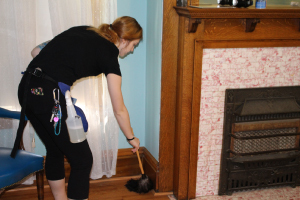 Even though we clean homes as a housekeeping Pittsburgh PA based company, we would never have thought that toothpaste could be used as a cleaning agent for so many different cleaning tasks? We consider it a super product because it has so many uses not often thought about. I think you have to agree with me that most every home has at least 1 tube of toothpaste for the entire family to use to clean and brighten their teeth. As mentioned this wonder product has many other uses as well but for an in-depth understand of toothpaste in general check out the American Dental Association. We’ve written other articles on unusual cleaning tips including an article about using 17 surprising shampoo hacks that you can use for cleaning purposes. In this article, we’re going to discuss in some detail, ways to use toothpaste to clean with, to deodorize with and even to use as an agent to prevent fog, if you can believe that! We’ll delve into each point a bit deeper to ensure you understand how it all works. Before we dive into our 16 uncommon ways to use toothpaste, right now I would like to share some interesting facts about toothpaste. For years only the wealthy could afford toothpaste that is until 1850 rolled around. A doctor Washington Sheffield, from New London, Connecticut created the basic formula that we know today as toothpaste. He named his formula after himself, Dr. Sheffield’s Creame Dentifrice. It’s interesting to note that it was his son, also a doctor, Dr. Lucius Sheffield, who conjured up with the idea of using collapsible metal tubes to store the toothpaste for easy use as needed. Back then, as you can today, he observed paint being expelled from metal tubes as it was needed. Burnt egg shells, pumice, myrrh, ox-hoof ashes, and water were mixed into a paste by the ancient Egyptians to brush their teeth with! Now we’re not sure how the ox-hoof ash and the eggshells helped to clean one’s teeth and we’re guessing that only the richest folks could afford toothpaste back in those days because of the myrrh that was part of the concoction but those are the facts. To wrap up our history lesson concerning toothpaste, I checked online and discovered that Sheffield Laboratories still exists and continues to make toothpaste which is still packaged in metal tubes. How much toothpaste is sold today? We can only guess but back in 2012 1.6 billion dollars of toothpaste was sold in the United States. It’s time to learn all the many unusual ways that you can put toothpaste to work for you besides using it to clean your teeth. So let’s get right to it. 1. Eliminate Fog on Bathroom Mirrors – Using soft gel toothpaste only to prevent scratches, simply squeeze a dab of toothpaste on a soft cloth and wipe the entire mirror in a circular motion and your fog problems are over for some time. 2. Eliminate Fog on Goggles and Diving Masks – Use only the soft gel type of toothpaste to prevent scratching the glass on your goggles or mask. Rub lightly and you’ll remove the protective coating that is causing the problem. This coating is used mostly during shipping to prevent damage to the glass. 3. Cleaning Your Clothes Iron – Your clothes iron gets dirty no matter how clean your clothes are after you use it for some time. You can spruce it up to look like new using a soft gel toothpaste. The abrasive quality that even soft gel paste provides will do the trick. Be certain the iron is cool before beginning. Squeeze a bit of the paste onto a rag and scrub in circular motions until the iron plate is shiny and clean. Then rinse off the paste with cool water before ironing your next article of clothing. 4. Cleaning Your Sink – Squirt a dab or 2 of regular toothpaste (the non-gel type) into your bathroom sink and scrub it with a sponge. Rinse when done and your sink will be clean as a whistle. The toothpaste will deodorize your sink drain as you wash it down. 5. Cleaning Piano Keys – The keys on your piano have seen better days and are dark and dingy. Toothpaste to the rescue! Just brush them with a toothbrush and toothpaste as you would your teeth then wipe off with a damp cloth. You can clean ivory keys, which are elephant teeth, and regular keys which are plastic using this technique. 6. Cleaning Crayon Marks – Has your little toddler taken a liking to drawing with crayon on your walls? No worries when you have a tube of non-gel toothpaste nearby. 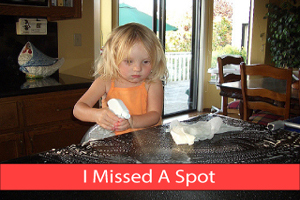 Simply squirt some paste onto your child’s artwork and scrub it with a clean rag. Your rag will soon begin to pick up the crayon marks leaving your wall as good as new. Just rub as hard as you need to using care to not scratch the walls before you rinse the area with cool clean water. 7. Cleaning Scuff Marks – Toothpaste is an amazing product. You can use it to clean scuff marks off your leather shoes! Squeeze a dab of toothpaste onto the scuff mark(s) and rub gently with a soft cloth. Using a clean damp cloth, wipe the remaining toothpaste off your leather shoes and they’ll look like new. 8. Clean Lipstick And Ink – Your old pen decided to leak in your shirt pocket or a lady with lipstick forgot to keep her lips off your shirt or blouse as the 2 of you exchanged hugs in a warm greeting. What to do? Once again, it’s toothpaste to the rescue. This one depends on the fabric that is stained but no harm in trying. Simply squeeze a bit of non-gel toothpaste onto the stain and rub the fabric together vigorously. Rinse the area with water. Did some of the stain come out? If so then repeat this process several times until the entire stain is removed. 9. Cleaning Sneakers – Your sneakers aren’t that old but the rubber on the sides is looking quite dingy and dirty. No problem at all, toothpaste will take care of business. You’ll want to use an old toothbrush to aid in the cleaning. Put some non-gel type toothpaste onto the toothbrush and begin to scrub the rubber around your sneakers. As always, take a clean but damp cloth and wipe the remaining toothpaste from the areas ensuring you get into all the crevices and creases. Now take a close look at those once dirty sneakers and you’ll instantly notice how spiffy they look. 10. Cleaning Silver – Your silverware is tarnished and you really don’t want to spend a heap of money on expensive metal cleaners. Well, you guessed it, toothpaste will do a dandy job of removing tarnish from silverware. Just use a dab of toothpaste on a soft white cloth and rub it into the tarnish until you see the tarnish clear up. Then rinse your item with cool water and dry it. The tarnish will be a thing of the past until the next time. 11. Watermarks Are No Match – I’ve seen watermarks on beautiful pieces of furniture and owners totally distraught over them. Surprisingly our famous natural cleaner, toothpaste, can remove them quite easily. Gently, and we do mean gently, rub a bit of non-gel toothpaste onto the water ring using a soft white cloth. Wipe using a circular motion until the stain is gone. Finally, wipe off the area with a damp cloth and let it dry before applying a coat of your favorite furniture polish. 12. Chrome Fixtures and Toothpaste – Typical commercial chrome cleaning agents have fine abrasive particles in them to clean and shine. Why not use non-gel toothpaste to do the same thing? No rinsing needed. Just smear the toothpaste on and polish it with a soft but dry cloth. You’ll see a shiny new looking fixture after a few minutes of buffing. 13. Diamonds Love Toothpaste – They say diamonds are a girl’s best friend. I not so sure about that but I can say that diamonds and toothpaste go together like a horse and carriage. You know diamonds look best when they sparkle and sparkle they will when they meet up with a bit of toothpaste. Just a dab of toothpaste on an old toothbrush is all that’s needed. Simply brush your ring using the toothbrush until it shines like new. The final step is to use a damp cloth to lightly wipe off any remaining residual toothpaste. 14. Hand Odor – This one is a surprise as well. Because toothpaste is such a great odor killer it can be used to clean smells from your hands. Most smells will vanish is you wash your hands using toothpaste. Rinse as you would with water and dry to prevent chapping and your hands will not only feel and be clean but they’ll smell pleasant as well. 15. Baby Bottle Odor – Baby bottles are great to have around when you have little ones but they do eventually smell badly after a while. That is unless you keep them clean and deodorized them as needed. Once again toothpaste is the ticket to a clean smelling baby bottle. Just use a dab of your favorite toothpaste on a clean toothbrush and scrub away the inside. Don’t forget to scrub around the rim both on the inside and the outside. The last step is to ensure you thoroughly rinse off all the toothpaste before using the baby bottle. This tidbit is amazing to me! 16. Pulverizing Pimples – Your teenager can use toothpaste to destroy his or her pimples. Who would have guessed that toothpaste could be a contender in this arena? Use non-gel and non-whitening toothpaste for this task. In the evening just before bedtime, dab a bit of it on your blemish and by morning the spot should be gone. The toothpaste will dry out all the oil and absorb it. Tip: This technique will work best on pimples that have come to a head. Caution: Use care with this pimple cleanup tip because toothpaste can irritate sensitive skin. Just try it on 1 blemish for a night to determine how your skin will react. Okay now that you have our sixteen tips on how to you can use toothpaste in unusual ways we hope that you’ve found value in what we shared. If so please take a minute to share this article on your social platforms and leave us a comment if you care to. Thanks for reading and we’ll see you the next time.